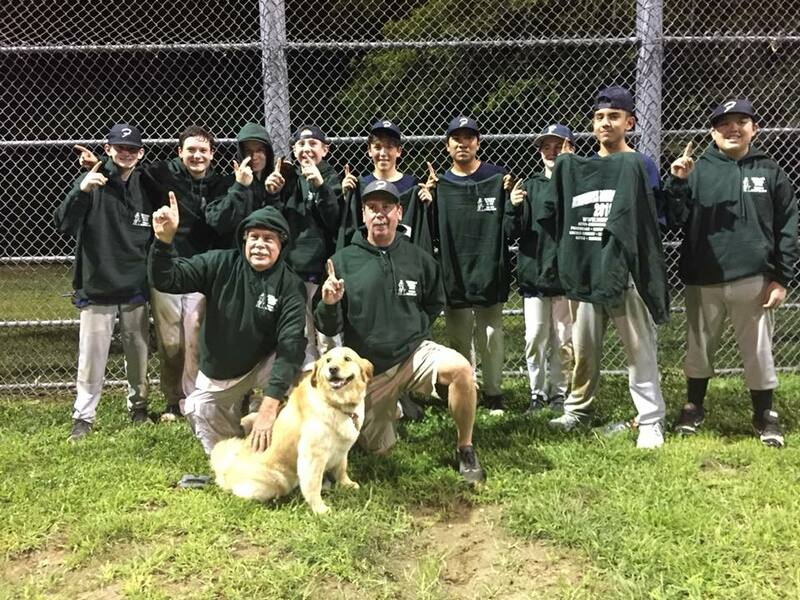 FRAMINGHAM – what many are calling “The Miracle At Long Field,” the Framingham Flyers pulled out a spectacular win over the Maynard Red Sox to take the Minuteman League championship. 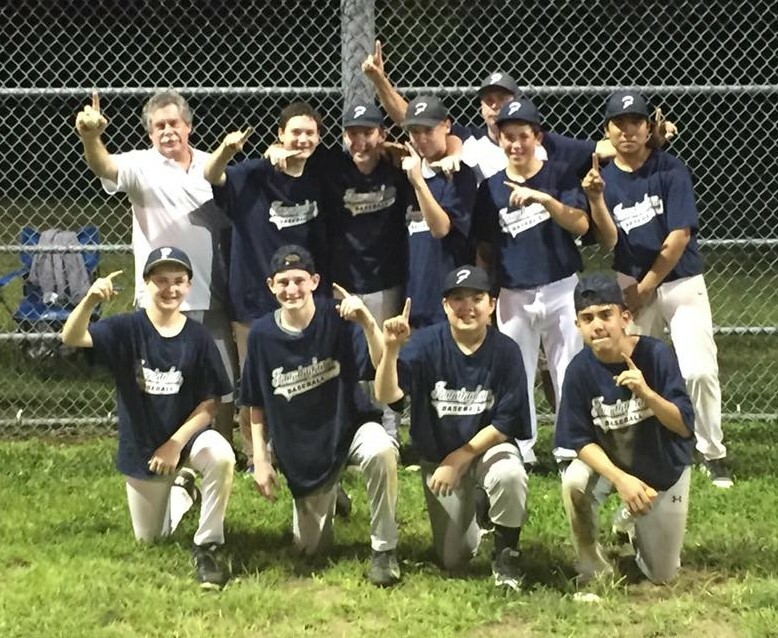 Framingham overcame a 9-run deficit in the last inning, scoring 10 runs to shock a stunned Maynard team and walk off with the title. 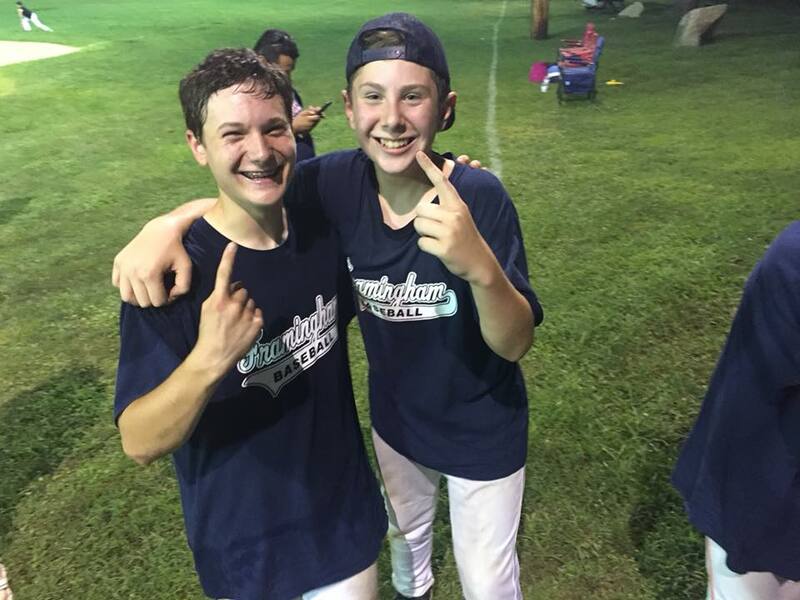 The winning run came from a run-down between third and home, with Flyer Noah Perlman being interfered with by Maynard players in the base-path, leading to umpires calling interference and awarding home plate to Perlman. 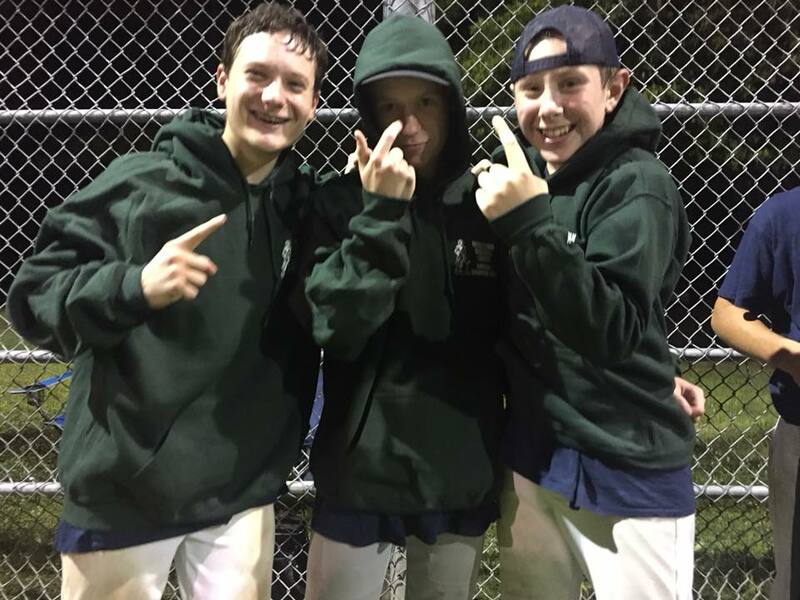 After falling behind 6-0 in the top of the first inning, the Flyers persevered and spread out a barrage of 18 hits in their comeback effort. 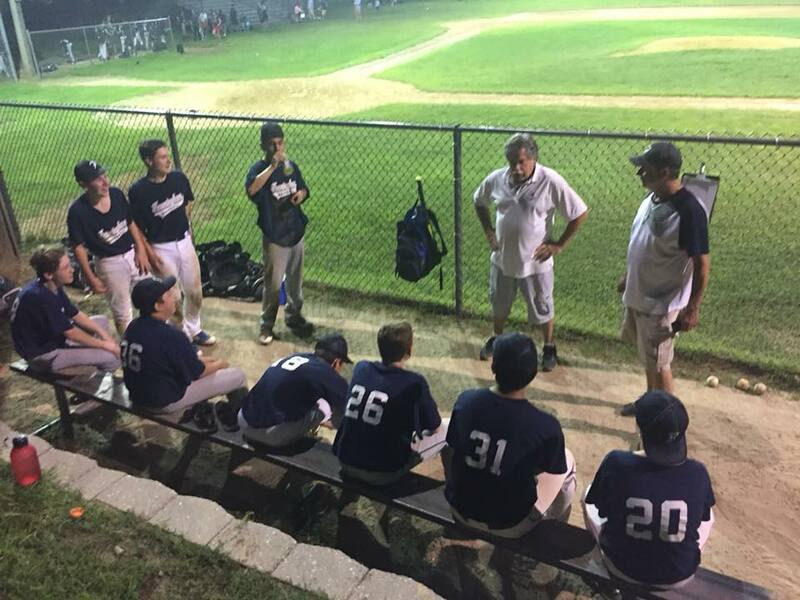 Framingham was down 14-9 going into their last inning of at-bats. Josh Berman started off with a walk. Diego Mazariegos moved him along with a single and Perlman walked to load up the bases. Andrew Schuler knocked in two runs with a scorcher to left. After a Gaskin strike-out, Braeden McKenna and Scotty Pagliuca each singled to load up the bases again. Brandon Garcia recorded out number 2, with a line drive to left field. Now the Flyers were down 14-11 with two outs. 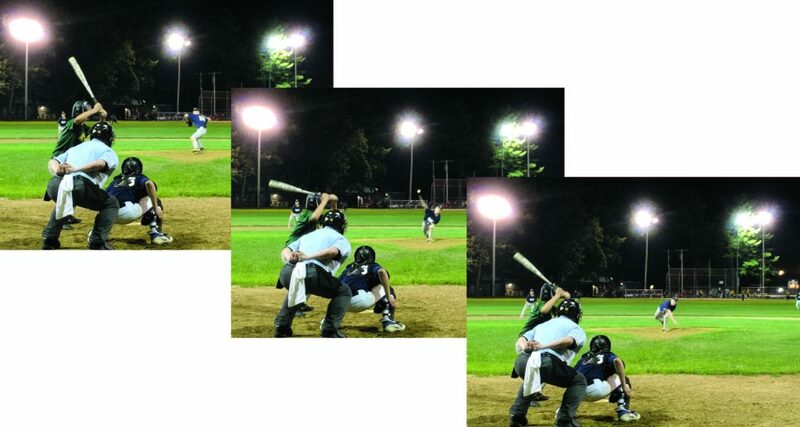 The hit attack continued as Cody DeCoff and Berman each doubled. Mazariegos got his second hit of the inning, Perlman walked and Flyer power hitter Andrew Schuler came up to the plate with the game in his hands. On the second pitch, Schuler launched a hard single into center field scoring Mazariegos. Perlman tried to also score on Schuler’s blast, but rounding third got into the run-down. 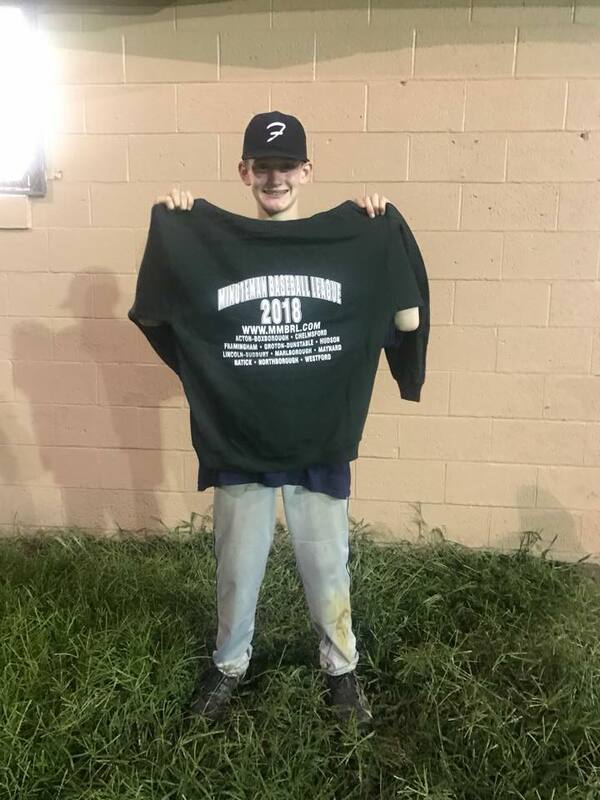 Perlman was interfered with on the base-path and given home plate – scoring the winning run and the Flyer’s comeback was officially in the books. 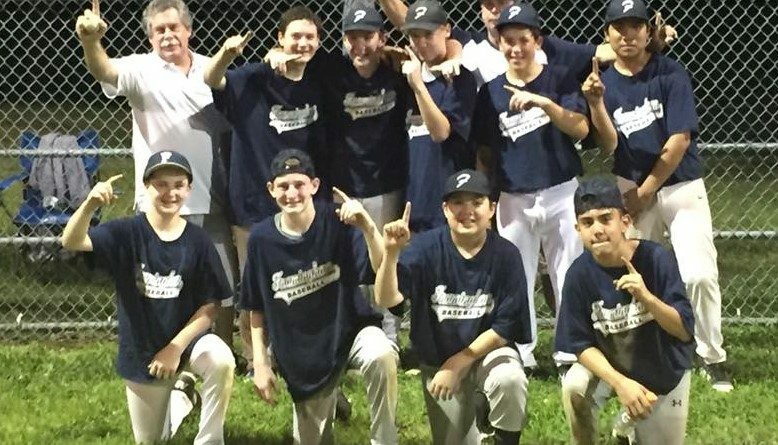 Members of the winning team are: Scott Pagliuca, Josh Berman, Kody DeCoff, Diego Mazariego, Andrew Schuler, Braeden McKenna, Matt Gaskin, Noah Perlman, Brandan Garcia, David Maude, Justin Rosen, Kyle Chan, Alex Thurber, Nathan Thurber, and Jack Vona.